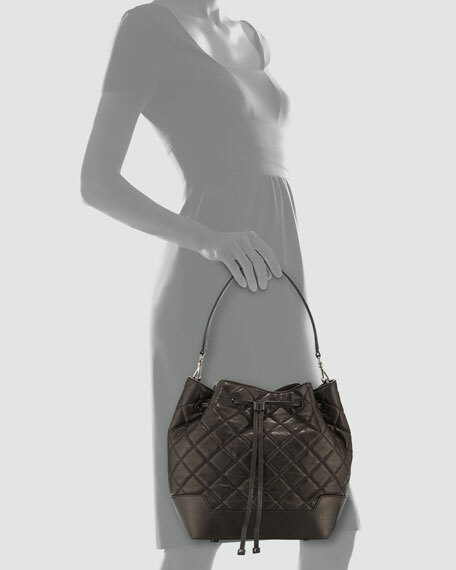 Alice + Olivia quilted lambskin bucket bag. 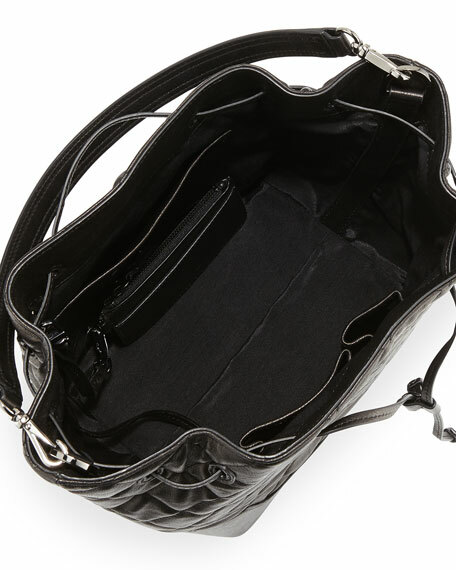 Removable shoulder strap; 8.5" drop. Inside: leashed zip pouch; three open pockets. 10.5"H x 12"W x 6.75"D.